THIS ITEM IS NOT AVAILABLE AT PRESENT. WE WILL NOT BE GETTING ANYMORE Marvel Select Avengers Chitauri Footsoldier Action Figure. From the The Avengers collection by Diamond Select. 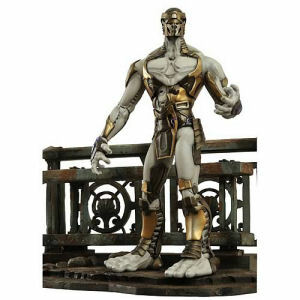 Marvel Select Avengers Chitauri Footsoldier Action Figure. Fully articulated 7-inch action figure with 16 points of articulation! Comes with detailed display base. Diamond Select Avengers Action Figures shipping from Canada. No Surprise Border fees or Customs!